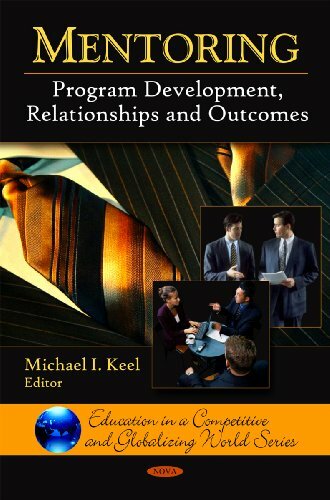 This book examines the importance of mentoring relationships. Mentoring is important to individual career development. Thus, the potential benefits of mentoring on a professional scale are addressed, regardless of career stage. Findings from a constructivist grounded theory study, that examined rural nurses' experiences of mentoring, is presented in this book. Multicultural models of mentoring relationships are also examined, which are necessary given the changing demographics of our society. Recommendations for developing positive multicultural mentoring relationships and future directions in research and training are looked at as well. Furthermore, mid-career is the most appropriate period for taking on mentoring responsibilities. Thus, a conceptual analysis of the relationships between the mentor's career stage and the mentoring process are analyzed. This book also describes the attitudes, characteristics, and practices of effective mentoring of student teachers on students as well as the effect peer-mentoring has on disabled persons. Future directions of peer-mentoring and disability are addressed as well.